Remember to ask lots of questions, eat lots of popcorn, drink lots of tequila, I mean coffee, and share your feelings. (That means scream when you are scared or having fun.) We will teach you the meaning of our slogan, "Diving is Passion in Motion". That is why we do what we do. Come on! Breathe underwater and Fly weightless? 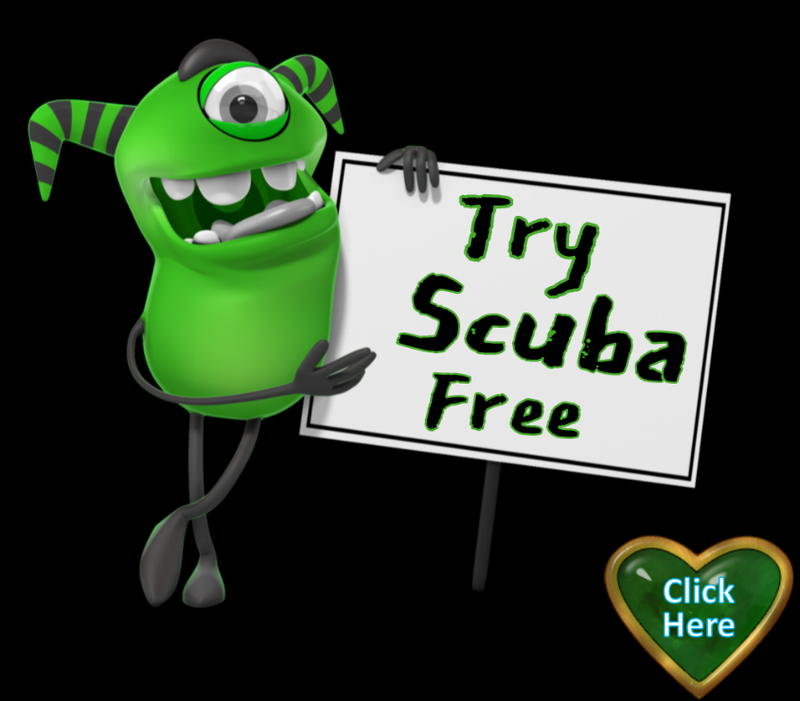 If you want to try before you buy, our Intro to Scuba experience is for you! You learn basics in an easy to use digital download. Then you meet at the dive shop with an instructor. A bit of classroom discussion and fun pool work that counts towards the full course if you decide to continue. So discover scuba diving without any pressure. START HERE This is where the adventure begins. You are a diver, now find your passion! This is where the fun begins. Pick 2 Specialties that interest you and continue the journey. There are 28+ courses that grow skills and continue the fun. Night, Dry suit, Wreck, Underwater Photography, Nitrox, Deep, Altitude, Shark, Coral ID, Fish ID, and the list goes on. You don't drive on your learners permit, why dive on your beginner license? This is where the skill begins. This course is designed to advance your diving, so you can start right after earning your Level One Beginner certification. This course substantially increases your comfort while building your confidence. You choose 4 specialty courses that interest you. You will receive a digital certification in all 4 specialties declaring your new level of accomplishment. The most challenging, yet most rewarding course. You learn to prevent and manage problems in the water, become a better buddy by practicing problem solving skills until they become second nature, and become more confident in your skills as a diver, knowing that you can help others if needed. You're on the boat and the Divemaster says your regulator is mounted backwards, you forget to turn your air on and can't quite remember how to work that table thing. The divemaster asks your dive plan and you answer that you plan to dive. Then this is really for you! Master Divers are an elite group of respected divers who have earned this rating through significant experience and scuba training. 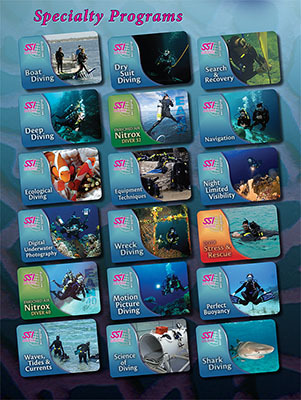 Fewer than 2% of divers ever achieve this ultimate certification. When you flash your Master Diver Card, people know that you have the experience in a variety of environments and can share some adventure stories. Join the best of the best in recreational scuba diving and live the dive life as a Master Diver. Many Master Divers continue towards the professional levels as a Divemaster, and even instructor. There are worse careers than traveling to tropical locations with a swim suit and flip flops as your uniform, teaching others how to dive.